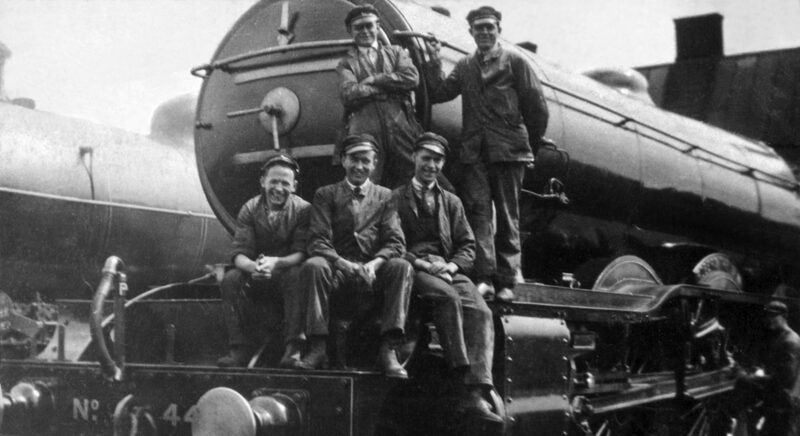 An aim of the Return to Grantham project is to encourage readers to explore and enjoy more of Grantham's railway history and tradition for themselves. Listed below are books, articles and other media which you may find of interest. We are always discovering more, so if you know of a 'little gem' that has so far escaped our attention please get in touch - so we can enjoy it ourselves and add it to our list for the benefit of others. Please be aware that inclusion in our list is not necessarily a recommendation, or a guarantee of quality or accuracy. How can I get hold of a copy of one of these books or magazines? Most of the publications listed on this page are long out of print. However, today we are fortunate that international networks of second-hand book dealers enable the identification and purchase of many titles at relatively modest cost. So try searching general booksellers' network websites such as AbeBooks.co.uk. For magazines and periodicals, in the UK many of the railway preservation groups have bookshops, and some stock an extensive range of backnumbers of magazines and periodicals. One such is the Vintage Carriages Trust, who are based at Ingrow on the Keighley & Worth Valley Railway in Yorkshire. BackTrack Pendragon Publishing Vol. 128, No. 3, March 2014 155-157 Visiting Grantham Shed in 1956 (colour photo feature from the J.T. Bassingdale collection) Editor?